Sprint Nextel's seven-year nightmare may soon be over. The nation's third-largest wireless carrier confirmed Thursday that it is in talks with Japanese technology giant Softbank to sell at least part of the company. Sprint (S) has struggled to keep up with stronger competitors Verizon (VZ) and AT&T (T) ever since its disastrous 2005 merger with Nextel. The company is up to its eyeballs in debt, undergoing an expensive -- and late -- transition to 4G-LTE, and losing contracted customers in the wake of its decision to ditch the Nextel brand. With smaller rival T-Mobile entering into an agreement to buy MetroPCS (PCS) earlier this month, Sprint is feeling the heat of stronger competition from all sides. Forced to go it alone, the company has been working on a major upgrade intended to modernize its network. It's also toying with backup plans: Sprint's shares rose last week on a Bloomberg report that said the company was considering making a counter-offer to MetroPCS. But then, seemingly out of the blue, Softbank arrived dangling a new rescue plan. It's the kind of white knight with deep pockets that Sprint desperately needs. Softbank had roughly $13 billion in cash at the end of last year. Sprint, by comparison, has $21 billion in debt and just $7 billion in cash and short-term investments. Shares of Sprint jumped by as much as 19% Thursday on the news. Japan's third-largest carrier, led by colorful and outspoken CEO Masayoshi Son (he devised a 300-year plan in 2010, which involved brain-computer symbiosis and machines that know how to love), isn't shy about dealmaking. It owns a stake in Zynga (ZNGA), had a chunk of Yahoo (YAHOY) until last year, and orchestrated a blockbuster deal to buy Vodafone's Japan unit that gave the company a huge presence in the burgeoning wireless space. 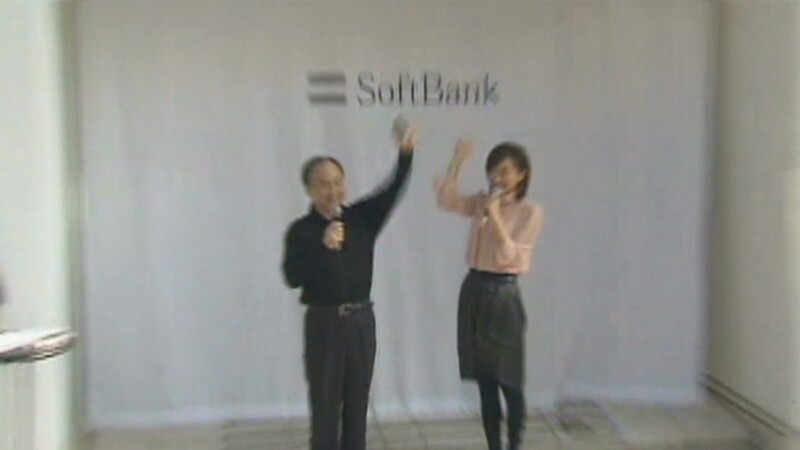 Softbank was the first Japanese wireless company to carry the Apple (AAPL) iPhone. Softbank's flair and assertiveness could give Sprint a needed jolt. The company lost its brief marketing edge -- billing itself as the only nationwide network with unlimited data -- when T-Mobile recently reverted to its unlimited data plans as well. Despite a network technology transition that appears to be on schedule and promises cost savings and improved coverage, Sprint's management has been criticized for lacking the chutzpah to do something bolder. The company seems locked in a losing battle with its two much-larger competitors. "If Softbank does acquire Sprint Nextel, it is not a forgone conclusion that the company will do well," said Jeff Kagan, an independent telecommunications analyst. "However, the chances it can do well are there if the company can understand the U.S. marketplace." Terms of the deal that is being negotiated were not disclosed, and Softbank declined to comment. A Wall Street Journal report said the deal, worth roughly $13 billion, would give Softbank a controling stake in Sprint. Regulators would likely cheer the deal, which would ensure that four strong, nationwide wireless competitors remain in the U.S. market. In AT&T's scuttled $36 billion buyout offer for T-Mobile last year, regulators said they opposed the deal because it would bring the number of national wireless choices down from four to three.